Sheethal Behari is a clinical psychologist with 11 years experience in her field. She is registered with the Health Professions Council of South Africa. She trained at King George V Hospital, a tertiary psychiatric hospital in Durban and continued to work there for 9 years gaining valuable knowledge and experience. She has extensive training and experience in geriatric, adult, adolescent and child assessment and psychotherapy. She has lectured at the Nelson Mandela School of Medicine, training medical health practitioners. She has supervised, trained and mentored other psychologists enabling them to excel in their field. Her areas of interest encompass a wide range of psychiatric disorders including, depression, anxiety, life/family stressors, bereavement, trauma, and personality issues. 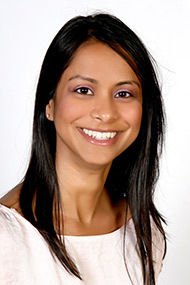 In addition, Sheethal has a keen interest in working with children in play therapy and in neuropsychology. She provides medico-legal assessments and reports for traumatic brain injured patients and it is here that her passion lies. In her personal time Sheethal loves travelling, doing adventure activities and spending as much time as possible with family and friends. She has joined the PsychMatters Team to assist all to live masterfully.